Waterbury Leeds mantle clock. 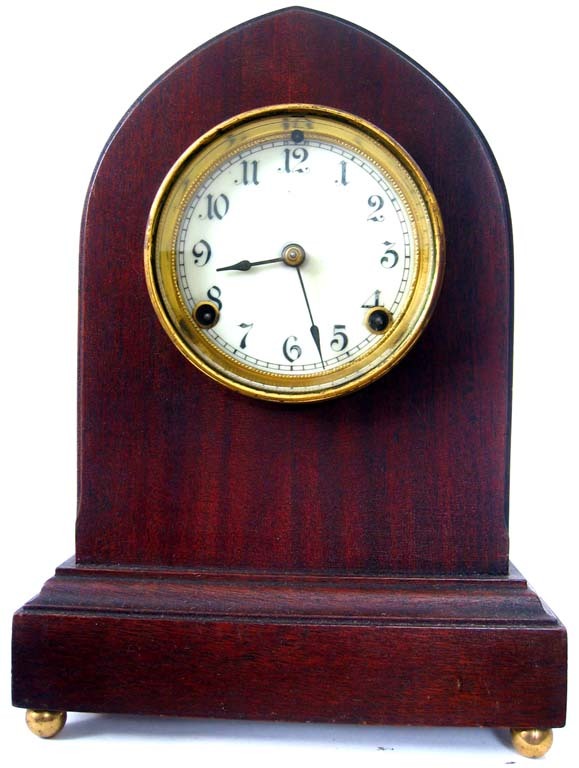 Solid mahogany case in a good original finish. Brass feet. It has a good porcelain dial and a heavy cast brass bezel with a beveled glass. Original hands and pendulum. 8 day with hour and half hour strike on a gong and bell. 12" tall.